Whether it's chocolate, vanilla or fruit, there's an ice cream flavor for everyone and as much as we consume the delicious treat most of us don't actually know that much about it. How long it takes to make, how quickly it's sold, how much air goes into to make it light and smooth. 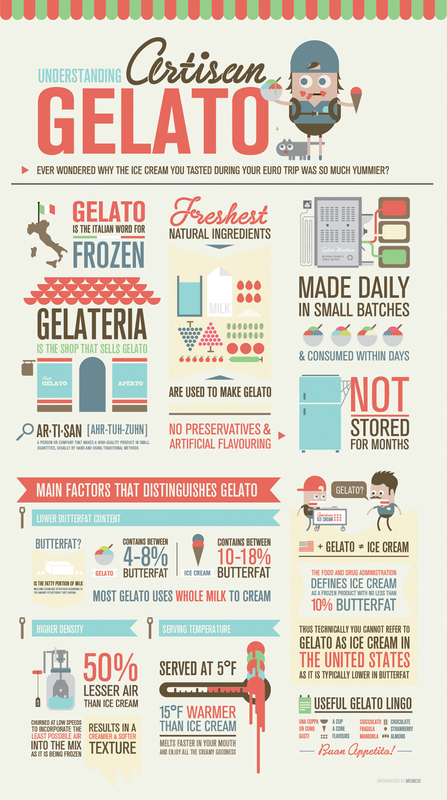 All important factors in creating good quality ice cream and all factors that are explained in detail in this great infograph from the team at inforgraphiclist. This simple to follow design provides lots of great information on artisan ice cream and the process involved in making it.